Bringing an idea to fruition often involves gaining approval from executives and higher-ups, which can be a challenge in larger organizations. Unsurprisingly, challenges like this often result when managers and forward-thinking employees attempt to get executives to embrace new technology, such as a corporate intranet. Anyone who has used intranet software knows just how powerful it is. Intranets can be used for communication purposes, to share files and documents, and for countless other reasons. Many businesses that incorporate a social intranet into day-to-day operations find that productivity and employee engagement begin to soar. Still, getting through to higher-ups about embracing new technology they're unfamiliar with is something that won't happen overnight. This is why it's important to have a game plan. When you're already familiar with the power of a corporate intranet and have seen it in action, it's understandable to want to present the concept to executives. Excitement can no doubt be contagious, but it won't get you much mileage if you go into the process without educating higher-ups on exactly what to expect. It's important to remember that while elements of social intranet software have been around for quite some time, this particular type of platform isn't something that all executives will be familiar with. There are many ways to approach management and higher-ups about the reasons to buy into a corporate intranet. Take the following tips and advice, and you'll have a strong chance of persuading upper management to make the right decision. When explaining what might be a new concept to higher-ups, it is helpful to start with something that is familiar. Your current strategy for handling daily business processes serves as a perfect baseline for educating higher-ups about a corporate intranet, as you can point-out specific things that need to be changed and currently serve as roadblocks for employees. A strategy can always be improved, but executives will be more likely to take the plunge should they have a well-understood baseline. Sometimes, the best way to learn about something new is by example. There are many successful companies using intranets in a variety of ways, customized for their own specific needs. Research how these companies use their intranet and compile a list of intranet examples. Present your examples in an enticing manner -- this is a great way to convince executives to make the right decision. 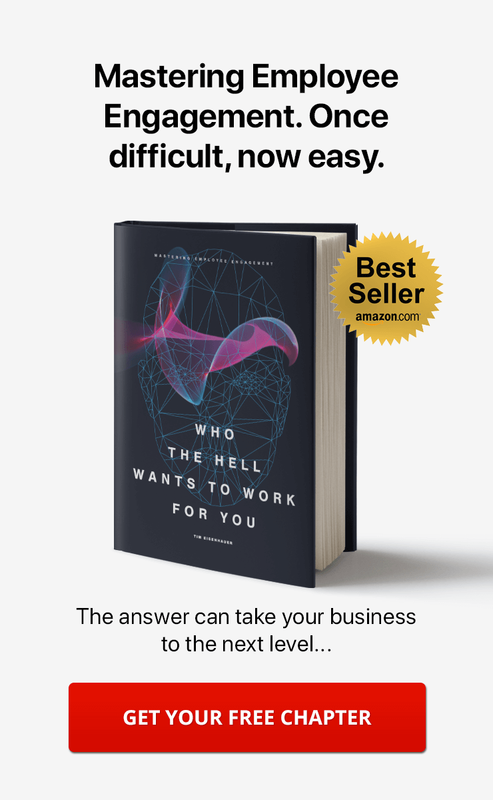 Executives often have so much on their plates that they don't know where to turn, and many are quick to overlook things that don't appeal to them. It's common for employees to feel slighted when their ideas are passed over, but most people don't realize that higher-ups have a completely different set of needs. Think like an executive and present the concept of a corporate intranet in ways they can easily understand. Executives often look for ways to make things easier. As those who have used corporate intranets know, a virtual community for passing around documents, handling internal communications, and managing projects can take quite a bit of stress out of the workweek. Taking the time to express just how much easier their lives will be with a corporate intranet can dramatically improve how they view the concept. One of the unfortunate side-effects of presenting the concept of a corporate intranet to executives is this: there will always be a chance of not being taken seriously. Many people who experience pushback from higher-ups allow themselves to get discouraged, thus tabling their ideas. It's important to realize there is quite a bit of power in numbers. Gathering feedback from other employees about why your organization needs a corporate intranet will give you a much stronger case when getting your points across. Doing so can be as easy as sending out a short email survey or by talking to people. 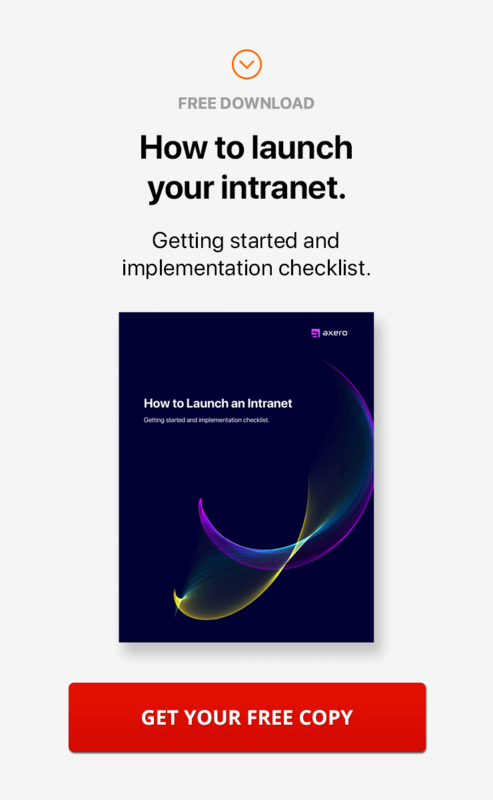 For any organization to move in a forward direction, it's essential to hit as many needs as possible when implementing a corporate intranet. The best social intranets solve problems that exist within a company, such as communication issues, problems with file-sharing, etc. By bringing these needs to the attention of higher-ups, you'll make a strong impact. Be sure to back your needs up with details and stats if you have them, as this is a great way to further your point. Executives want to know that employees are being as productive as possible at all times. Productivity levels can fluctuate easily, and it's often difficult to pinpoint exactly what the problem is. More often than not, issues with productivity result when employees don't have the right communication tools. 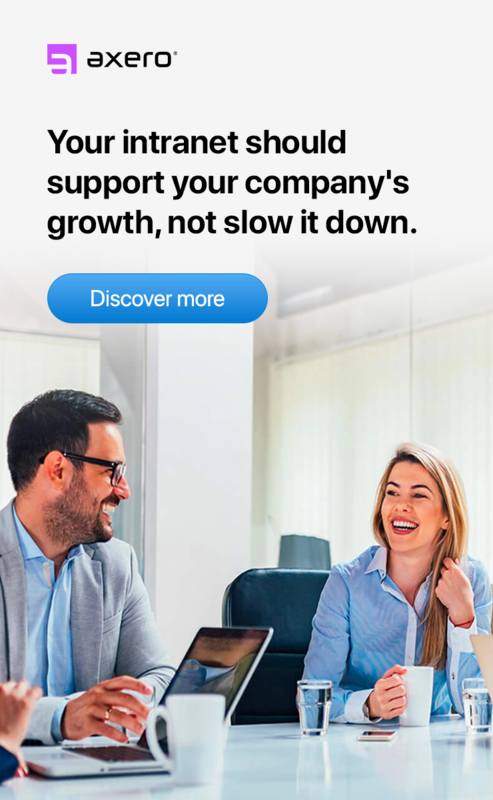 Stressing just how much of an impact a corporate intranet can have on productivity is one of the best ways to convince executives to make the right decisions ... and there is plenty of data out there to support this notion. Keeping employees engaged in their work is an important part of running a successful business. It's also easier said than done, and when things spiral out of control, employee engagement issues can cause an organization to collapse. In many cases, employee engagement levels fall based up communication barriers, which is why improving communication at work is essential. Explain to executives that a corporate intranet can take employee engagement to the next level, and you'll likely get through to them. Within any moderately-sized business, there are many departments that work with each other to keep things from falling apart. Often, this means dealing with a lot of processes throughout the week, many of which are carried-out with expensive unitasking software. The right corporate intranet will eliminate the need for many different software applications, thus saving your organization money. As you might expect, executives and higher-ups will be thrilled by this. Managing a single project can be difficult enough, but many professionals find themselves managing many projects at once. The benefits of implementing a corporate intranet for project collaboration are impossible to ignore, and explaining them to executives can get you quite a long way, especially if you're able to support your argument with case studies. Project management can only improve when employees are interconnected via a social community, and it's important that higher-ups be aware of this. In many cases, getting through to executives can be a difficult process. This is mostly felt in larger organizations, but just about any company can be susceptible to this issue. If you find this is the case, identifying one or two individuals in upper-management who are sympathetic to your argument will be a great way to reach those higher up. This is why it is often best practice to start by approaching your direct manager instead of going straight to the top. ROI, or return on investment, is always on the minds of those in leadership positions. Improving ROI can help keep a business afloat, and it doesn't have to be as challenging as it is often made to be. Since implementing a corporate intranet has a positive impact on ROI, articulating this to executives and higher-ups is an essential part of making your argument. As with anything else, it's best to use facts, numbers, and statistics when building a case for how an intranet can improve ROI. Explaining your case for upgrading to a corporate intranet in person is essential. At the same time, it's important to leave executives with something they can refer to that includes hard facts and details, and this is exactly where documentation comes into play. Putting everything into writing and leaving executives with proper documentation will ensure they don't lose sight of what you've presented, but keep in mind that most executives don't have a lot of time to spare. Keep your documentation punchy, short, effective. The "storytelling" technique is something that's used in the world of sales and marketing ... and it works. When properly pulled-off, telling an enticing and entertaining story can be the best way to get someone's attention. This is especially true if the outcome relates to their current situation, which is why storytelling can be so effective when pushing a corporate intranet. Frame your argument around a story that takes into consideration the past, present, and future of your organization ... and don't hesitate to stress the benefits of an intranet to help move the company to move forward. Patience is a virtue. It's common for pushback to exist when your idea is first presented. Just because higher-ups aren't immediately excited about what a corporate intranet can do ... this doesn't mean there isn't room for convincing. This is exactly why it's important to exercise patience in such a scenario. Focus on building a strong case and presenting it in small bursts, as this is often the best way to get through to executives and higher-ups. 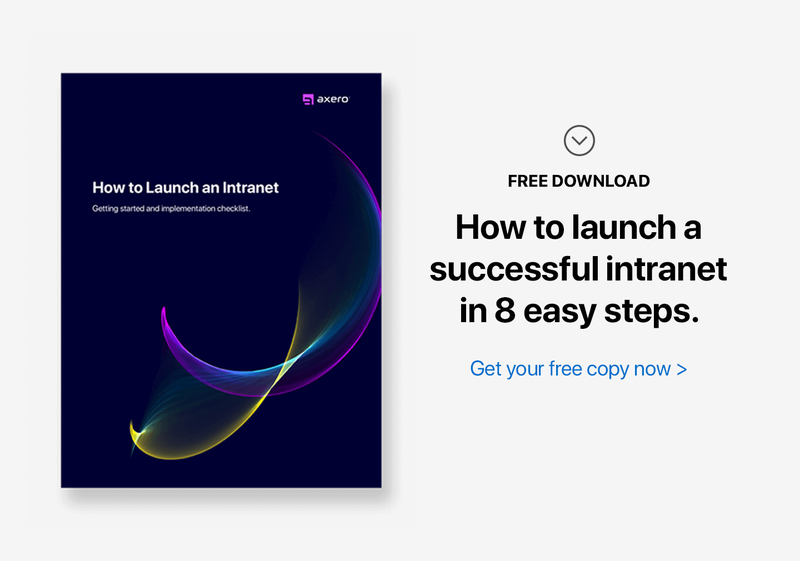 The benefits of having a corporate intranet are impossible to ignore, but getting things off the ground can only occur if you're able to make a strong case. If you follow the above 15 tips and put together a plan, you'll have a hard time going wrong.